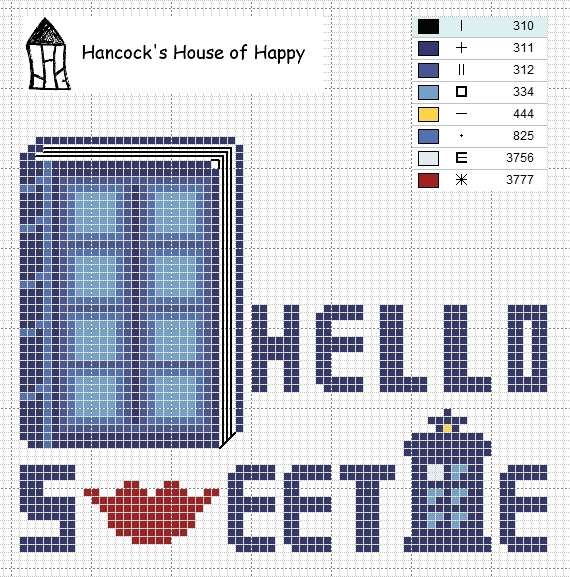 I was thinking the other day that it had been a long time since I had done a Dr. Who cross stitch chart. And that same day there was a request on the facebook page for a cross stitch chart featuring River Song. And now there is no more Dr. Who until November so here is a Dr. Who cross stitch with a River Song theme to it.